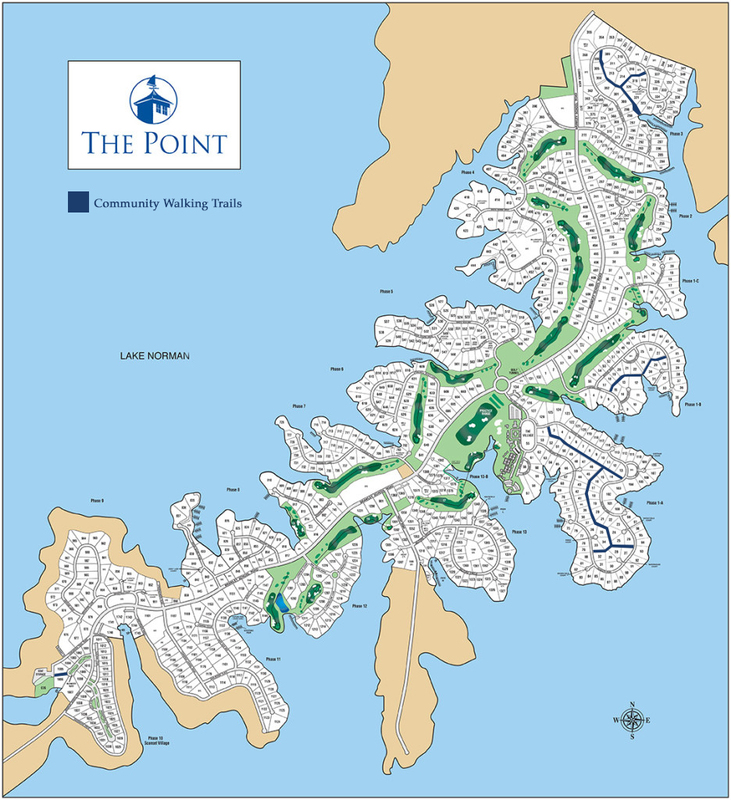 Community Trails – The Point Owners Association, Inc. The Point has six trails spread throughout the community for our families to enjoy. All community trails are highlighted in blue. The trail has four entrances, each identified by a small stone marker. They are on Easton Rd., Old Post Rd. and two on Falmouth Rd. This trail is approximately one mile long. It is very level and a great place to walk with your family, friends and pets. On Halloween the local neighbors light and decorate the trail for trick-or-treating. This tradition has grown over the years and is enjoyed rain or shine. A trail with markers on Chatham Rd. and Mayfair Rd. It is about a half mile long with several levels steps and wooden bridges. It is a great place to get a short cardio workout during the summer months. This trail has a more rustic or natural aura. The gravel, meandering path accesses a boardwalk and several bridges, and if followed all the way to the end, drops the nature lover at the lake where there is a bench to rest for a moment. Children love to catch salamanders in the creek, dogs find something new to sniff on a daily basis, and residents have seen deer and opossum at dusk. Trail stone markers are at the 2 entrances on Wild Harbor and the 1entrance on Atlantic Way. A gravel trail circles an open space along Mansfield Loop. Informal soccer and football games often take place in the green surrounded by this trail. Two covered benches provide a good place to relax and enjoy the activities. A short gravel walk that takes you for a nice detour off Brawley School Road with a covered bench to rest in the shade. A trail/walk runs through the middle of the Village providing a lovely view of the homes in this community.